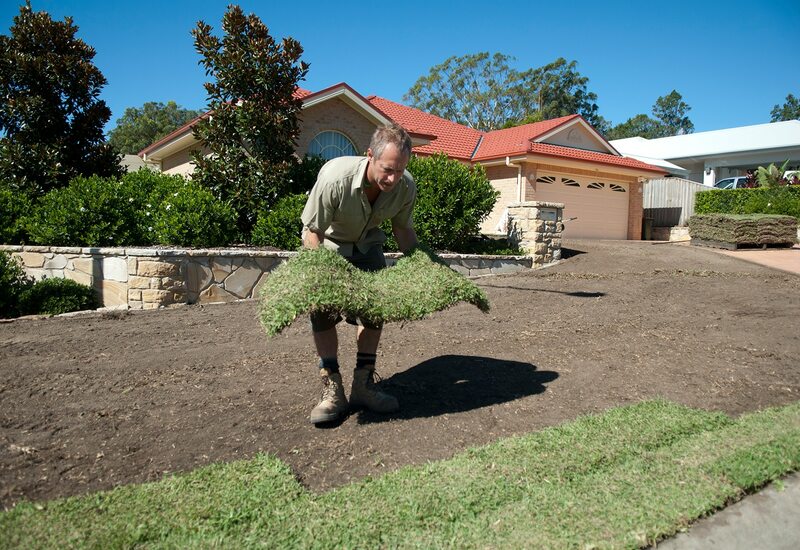 Sir Walter Buffalo Grass is a broad-leaved grass variety that is preferred by many Sydney & Australian homes because of its lush and luxurious look, and it’s ability to grow with as little as 3 hours of sunlight a day. It also has many other qualities that put it well ahead of other lawn breeds. If you need to create a visual impact with your lawn, then Sir Walter Buffalo won’t disappoint. It has a thick, verdant and uniquely luxurious look that makes every lawn feel professionally landscaped. It keeps its deep green colour year-round, unlike other varieties which can turn brown or a shade of purple in winter. If you have a smaller block with a larger house, or simply your yard doesn’t get much sun, then Sir Walter is the obvious choice because it performs extremely well in shade. Unlike Kikuyu or Couch grass, Sir Walter Buffalo will thrive in as little as 3 hours sun a day. Sir Walter Buffalo grass can cope with quite a lot of wear, and it recovers quickly if damaged. If you have an active back yard with pets and kids, then you will find Sir Walter hard to beat. It has been tested and verified as non-allergenic and it does not grow seeds unless stressed or let to grow too long. With a soft leaf blade, it does not cause itchiness after coming into contact with the skin. With a thick growth habit, Sir Walter can out-compete and crowd-out most weeds, particularly in the warmer months. It is not prone to fungus or diseases like other varieties. Ultimately this means you spend less time worrying about maintenance. Sir Walter requires a moderate amount of maintenance for best results. Mow it in summer once every 1 – 2 weeks, and less in other months. Generally speaking, once established Sir Walter requires less watering than other varieties. It will survive with minimal water even in drought conditions. Sir Walter Buffalo does not naturally thatch up, so you should not need to become concerned with inconvenient de-thatching methods. It is non-invasive, so it’ll also stay out of your garden beds too! Before Sir Walter, Buffalo grass was always slow to establish, suffered poor colour retention and gave thousands of Aussie kids annoying itchy rashes. But it was a popular post-war choice of grass in Australia. It maintained its popularity right up to the 1950s because of its tough blade structure, heat tolerance and, above all, low water consumption. Kikuyu was another popular grass variety initially imported as a rapid growing cow feed. But in the 1960s it became favoured as a cheap lawn solution. Far from being the budget saviour of lawns in Australia, it wasn’t long before it turned into an invasive noxious weed taking over much of the eastern coast. During the 1990s housing trends changed and the existing lawn varieties struggled to adapt. 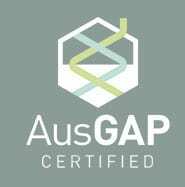 Houses became larger, blocks became smaller and the traditional Aussie lawn became smaller too. Larger houses meant that suddenly lawns had to deal with shade and extreme heat all at the same time. 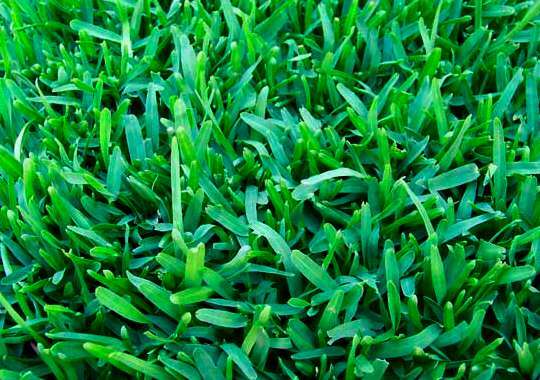 The solution to these issues appeared from the United States in the form of new varieties of grass, however while these initially promised great things, they often suffered in the harsh Australian environmental conditions. Shademaster, the first soft leaf buffalo grass, revitalised the lawn market and paved the way for locally engineered turf products. The wide leaves of buffalo means that it photosynthesises very well and survives in shadier spots than other varieties can. The future arrived in 1996 with the arrival of a grass that was more resilient to disease, pests and fungus than other grasses. It was drought resistant, thrived in shade and sun and stayed green and lush throughout the year. It was called Sir Walter. 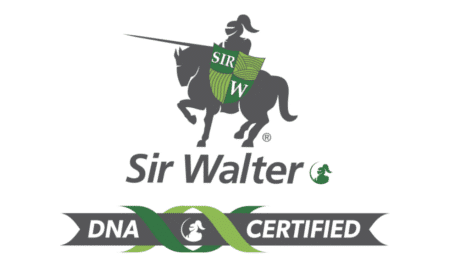 15 years down the line and following extensive testing, thousands of lawn installations and some of the harshest weather conditions to date, Sir Walter continues to thrive. It has shrugged off humidity related funguses, extreme water restrictions, shade, insects, lawn grubs and weeds where other varieties would not have survived. Sir Walter really is the best home lawn. Sir Walter buffalo lawn is a hard wearing, but beautiful soft leaf buffalo and it remains Australia’s no. 1. Don't forget Sir Launcher fertiliser! 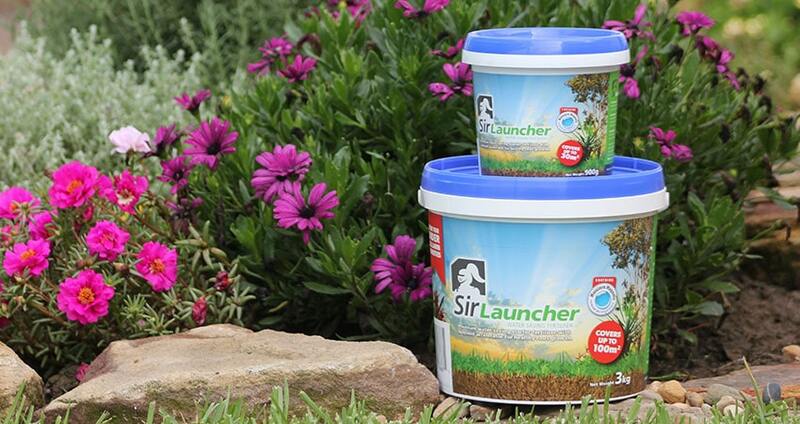 We highly recommend that you purchase Sir Launcher with your new lawn, to give it the boost it needs to establish. This premium fertiliser is designed for application under new turf. There’s nothing which beats Sir Launcher to give it the best possible kickstart.